Posted on July 23, 2011 by Ching under Things to Do. 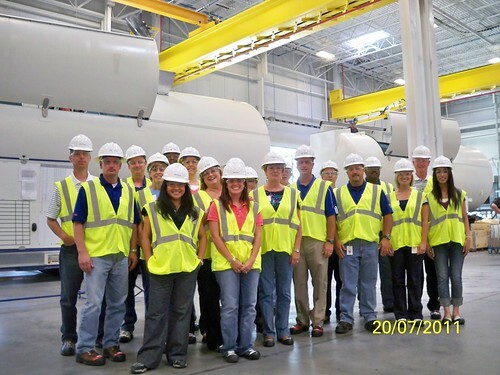 We got to tour the Siemens USA wind turbine nacelle assembly facility in Hutchinson, KS the other day. It was really cool. You know that show Modern Marvels on the History Channel? I felt like I was in one of those episodes.